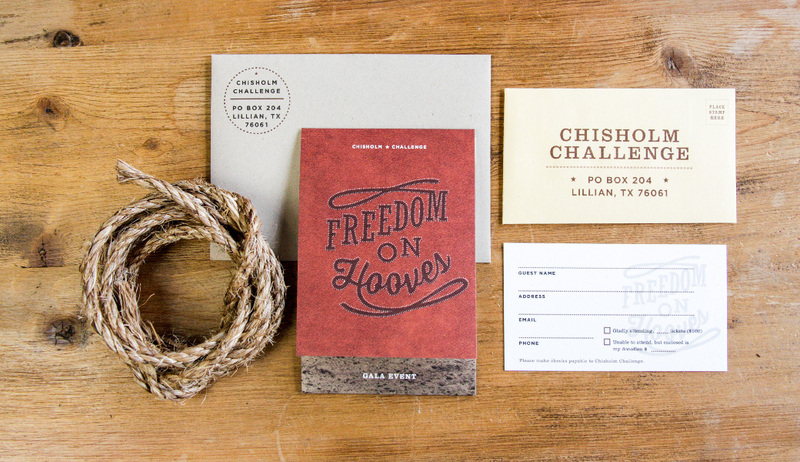 Chisholm Challenge - Schaefer Advertising Co. Whether you are new to the Schaefer culture or a return-reader, our community matters to us. Lights need to be kept on and our families provided for, but we make a great effort to do work that impacts the community in a significant way. This year, we had the opportunity to partner with a non-profit organization called Chisholm Challenge. 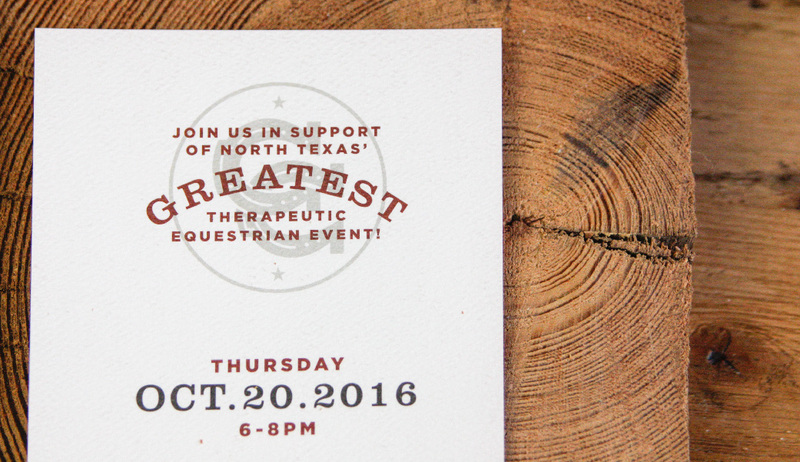 This organization, alongside the Fort Worth Stock Show & Rodeo, create a venue to showcase the abilities of disabled equestrian athletes. 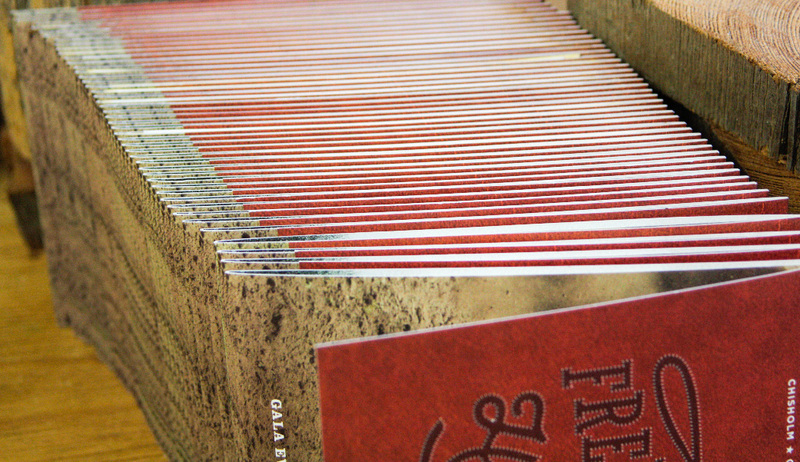 We created the save the date and invitation collateral for the Chisholm Challenge banquet. 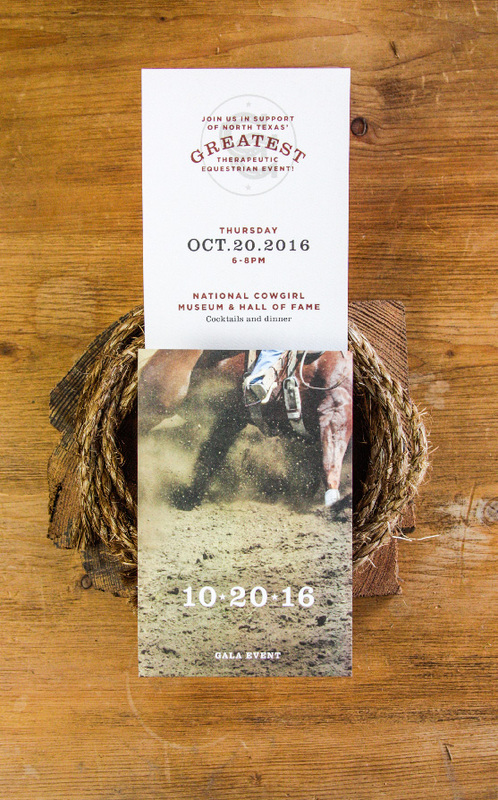 The banquet allows for awareness and fundraising to create the actual horse show that occurs in the spring. 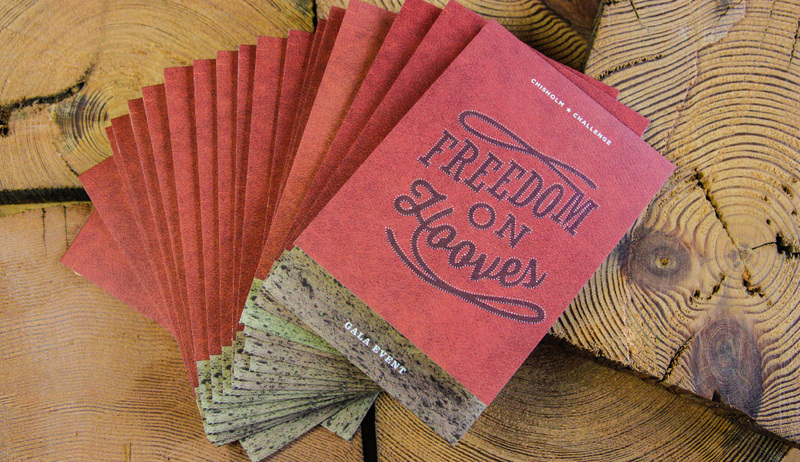 We wanted to develop a sophisticated-yet-rural way to celebrate the opportunity to help give equestrian aesthetes the chance to feel like celebrities at their own horse show. 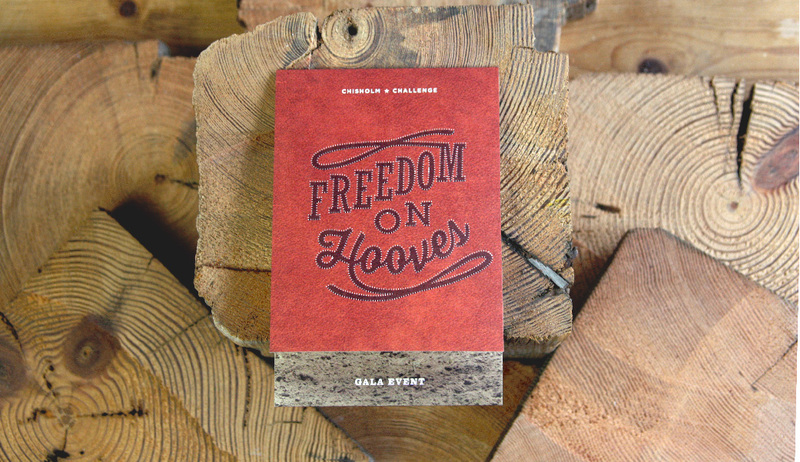 Our invitation collateral was a vertical tri-fold piece on paper with a rodeo-inspired texture, a playful script type-lockup and plenty of cattle-brand badge treatments. 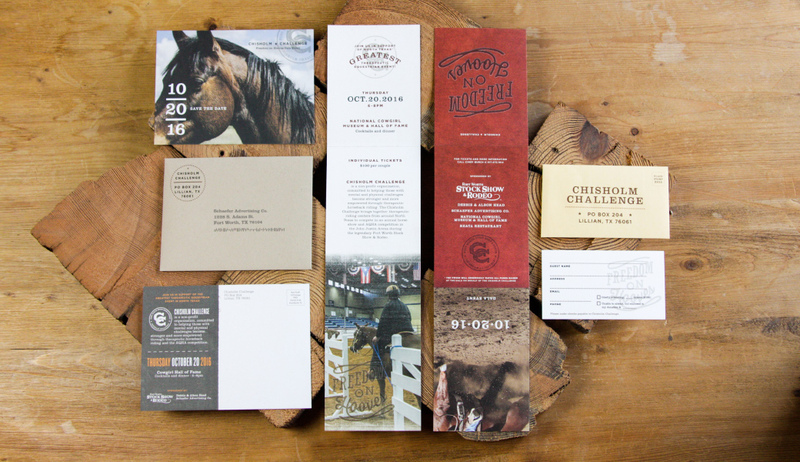 Each invitation came with a reply card and envelope set that embody the aesthetic of the fairground.